Dr Andrew R Millard, B.A., D.Phil. I am an archaeological scientist with broad interests in the applications of chemistry and quantitative methods in archaeology. By using isotope analysis of bones and teeth, I examine diet, migration, and exposure to lead pollution in past populations around the world. I have also worked extensively on bone diagenesis, the microscopic and chemical changes to buried bone. I apply Bayesian statistical analysis of dating information to answer questions about chronologies in eras from the Lower Palaeolithic to the Seventeenth Century. I also apply mathematical and statistical models to interpret isotope analyses and to evaluate palaeodemographic information. A key aspect of all my work is to integrate the science with the archaeological context and questions. I’ve supervised research students in all these areas and I welcome enquiries from potential PhD students in any of them, or in related topics. My first degree was in chemistry at Oxford, but whilst studying for that I discovered the delights of archaeology, going digging at weekends. I managed to combine these interests when I found a place for my undergraduate project and doctoral work in the Research Laboratory for Archaeology at Oxford. My D.Phil. explored the uptake of uranium into bone in order to improve the basis of uranium-series dating of bone, and a post-doctoral project explored wider issues of the effect of groundwater hydrology on the decay and preservation of bones. 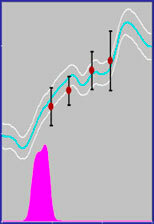 In 1995 I came to Durham a Lecturer, where my research has broadened to cover the chemistry of bones and teeth applied to archaeological problems, and Bayesian statistics applied to archaeology, particularly to the analysis of scientific dating techniques, and with wider applications in Quaternary science. My research is a mixture of work conducted alone and collaborative projects with a range of scholars within Durham (I have collaborated with colleagues in Archaeology, History, Earth Sciences, Geography and Mathematics) and external to Durham (including Leiden, Groningen, Cambridge, Sheffield, Otago, Peking Universities and the British Geological Survey). I have been Associate Director (2015-16), and then Director (2016-17) of the Insitute for Medieval and Early Modern Studies. I currently chair the Durham World Heritage Site Research Committee. As a member and President (2012-18) of the Architectural and Archaeological Society of Durham and Northumberland, I promote links between academic archaeology and those interested in the subject across the north-east of England. Bayesian statistics, as applied to dating in archaeology, allows the combination of different types of dating methods, substantial improvements in the resolution of dates, and the assigning of dates to events previously considered undateable. My contribution in this area has been to extend the method from its initial application to radiocarbon dates, to application to a wide variety of other dating methods, including uranium-series, luminescence and ESR dating. This has been applied to a major re-evaluation of the dating evidence for hominid fossils in the timeframe 500,000 to 50,000 years ago. The Bayesian statistical paradigm has a wide range of potential applications in archaeology, which has led me to work on estimating age-at-death of humans and sheep, on predicting the location of archaeological sites in the landscape, and reconstructing the components of diet. I have also been involved in work on mathematical models for changes in nitrogen isotopes with weaning, and the analysis of uncertainty in chronologies constructed from ancient near eastern King Lists. I have co-supervised PhD students working on modelling the Mousterian-Aurignacian transition in Europe using radiocarbon dates, and on estimating the uncertainty in luminescence dates. My bone and tooth chemistry research mixes technique development, theoretical studies, and archaeological application in collaboration with period specialists. Past work has examined age of weaning using nitrogen isotope ratios, developing a mathematical model and examining its application to a 19th century population from London. Past projects have examined migration into and around Britain using strontium and oxygen isotope ratios measured in Anglo-Saxon and Viking remains, migration of Crusaders, and diet and migration in the Dutch middle Neolithic. Recent and current work is examining the transition to agriculture in the northern Atacama Desert in Chile, the transition to pastoralism in semi-arid areas of the Near East and movement in the Bronze Age of northern Italy. PhD topics in this area that I have supervised have ranged widely including studies of diet and/or migration in 18th-19th century in England, Christians and Muslims in medieval Spain, the animals hunted by Upper Palaeolithic humans, humans from post-Medieval Riga in Latvia, tuberculosis sufferers in Roman Britain, Bronze Age inhabitants of Tepe Hissar in Iran. Halcrow, Siân E., King, Charlotte L., Millard, Andrew R., Snoddy, Anne Marie E., Scott, Rachel M., Elliott, Gail E. Gröcke, Darren R., Buckley, Hallie R., Standen, Vivien G. & Arriaza, Bernardo T. (2018). Out of the mouths of babes and sucklings: Breastfeeding and weaning in the past. In Breastfeeding: New Anthropological Approaches. Tomori, Cecilia Palmquist, Aunchalee Loscalzo & Quinn, Elizabeth Abingdon, Oxon: Routledge. 155-169. Millard, AR (2015). Isotopic investigation of residential mobility and diet. In Cliffs End Farm, Isle of Thanet, Kent: A mortuary and ritual site of the Bronze Age, Iron Age and Anglo-Saxon period with evidence for long-distance maritime mobility. McKinley, JI, Leivers, M, Schuster, J, Marshall, P, Barclay, AJ & Stoodley, N Wessex Archaeology. 31: 135-146. Millard, A.R., Montgomery, J, Trickett, M, Beaumont, J, Evans, J & Chenery, S (2014). Childhood lead exposure in the British Isles during the industrial revolution. In Modern Environments and Human Health: Revisiting the Second Epidemiological Transition. Zuckerman, M Wiley-Blackwell. 279-300. Powell, LA, Redfern, RC, Millard, AR & Gröcke, DR (2014). Infant feeding practices in Roman London: evidence from isotopic analyses. In Infant health and death in Roman Italy and beyond. Carroll, MJ & Graham, E-J Journal of Roman Archaeology. 96: 89-110. Millard A R (2013). Appendix 7: Integrated dating analysis. In Scots Dyke to turnpike: the archaeology of the A66, Greta Bridge to Scotch Corner. Zant J & Howard-Davis C Oxford Archaeology North. 203-207. McKinley, JI, Schuster, J & Millard, AR (2013). Dead-sea connections: a Bronze Age and Iron Age ritual site on the Isle of Thanet. In Rethinking the Bronze Age and the arrival of Indo-European in Atlantic Europe. Koch, JT & Cunliffe, BW Oxbow Books. 151-177. Millard, AR (2013). The radiocarbon dates. In The Anglo-Saxon Church of All Saints, Brixworth, Northamptonshire: survey, excavation and analysis, 1972-2010. Parsons, D & Sutherland, DS Oxford: Oxbow Books. Verhgaen, P, van Leusen, M, Ducke, B, Millard, A & Kamermans, H (2012). The Bumpy Road to Incorporating Uncertainty in Predictive Modelling. In On the Road to Reconstructing the Past. Computer Applications and Quantitative Methods in Archaeology, Proceedings of the 36th International Conference, Budapest, April 2-6, 2008. Jerem, E, Redö, F & Szeverényi, V Archaeolingua. 301-308.
van Leusen, M, Millard, AR & Ducke, B (2009). Dealing with uncertainty in archaeological prediction. In Archaeological Predictions and Risk Management: Alternatives to Current Practice. Kamermans, H, van Leusen, M & Verhagen, P Leiden: Leiden University Press. 123-160. Millard, A. R. (2005). What can Bayesian statistics do for archaeological predictive modelling?. In Predictive modelling for archaeological heritage management: a research agenda. van Leusen, P. M. & Kamermans, H. Amersfoort: Rijkdienst voor het Oudheidkundig Bodemonderzoek. Nederlandse Archeologische Rapporten 29: 169-182. Millard AR (2003). Taking Bayes Beyond Radiocarbon: Bayesian Approaches to Some Other Chronometric Methods. In Tools for Constructing Chronologies: Crossing Disciplinary Boundaries. Buck CE & Millard AR London: Springer Verlag. 231-248. Millard, AR (2001). Deterioration of bone. In Handbook of Archaeological Sciences. Brothwell, D & Pollard, M Chichester: Wiley. 633-643. Millard AR (2000). A model for the effect of weaning on nitrogen isotope ratios in humans. In Perspectives in Amino Acid and Protein Geochemistry. Goodfriend, GA Collins, MJ Fogel, ML Macko, SA & Wehmiller, JF New York: Oxford University Press. 51-59. Buck, CE & Millard, AR (2003). Tools for Constructing Chronologies: Crossing Disciplinary Boundaries. Lecture Notes in Statistics. London: Springer. Cavazzuti, C., Skeates, R., Millard, A., Nowell, G., Peterkin, J., Bernabò Brea, M., Cardarelli, A. & Salzani, L. (2019). Flows of people in villages and large centres in Bronze Age Italy through strontium and oxygen isotopes. PLOS ONE 14(1): e0209693. Redfern, Rebecca, Gowland, Rebecca, Millard, Andrew, Powell, Lindsay & Gröcke, Darren (2018). ‘From the mouths of babes’ a subadult dietary stable isotope perspective on Roman London (Londinium). Journal of Archaeological Science 19: 1030-1040. Petersone-Gordina, P., Roberts, C.A., Millard, A.R., Montgomery, J. & Gerhards, G. (2018). Dental disease and dietary isotopes of individuals from St Gertrude Church cemetery, Riga, Latvia. PLOS ONE 13(1): e0191757. King, C. L., Arriaza, B. T., Standen, V. G., Millard, A. R., Gröcke, D. R. , Muñoz, I. & Halcrow, S. E. (2018). Estudio isotópico del consumo de recursos maritimos y terrestres en la prehistoria del desierto de Atacama (Isotopic study of marine and terrestrial resources in the prehistory of the Atacama Desert). Chungara: Revista de Antropología Chilena 50(3). Afshar, Z., Roberts, C. & Millard, A. (2018). Interpersonal violence among the Chalcolithic and Bronze Ages inhabitants living on the Central Plateau of Iran: A voice from Tepe Hissar. Anthropologischer Anzeiger 75(1): 49-66. Hughes, Susan S., Millard, Andrew R., Chenery, Carolyn A., Nowell, Geoff & Pearson, D. Graham (2018). Isotopic analysis of burials from the early Anglo-Saxon cemetery at Eastbourne, Sussex, U.K. Journal of Archaeological Science: Reports 19: 513-525. King, Charlotte L., Halcrow, Siân E., Millard, Andrew R., Gröcke, Darren R., Standen, Vivien G., Portilla, Marco & Arriaza, Bernardo T. (2018). Let's talk about stress, baby! Infant-feeding practices and stress in the ancient Atacama desert, Northern Chile. American Journal of Physical Anthropology 166(1): 139-155. Millard, A R (2018). Lost Lives and New Worlds: The Stories of Scottish Soldiers from the Battle of Dunbar (1650). MASSOG: A Genealogical Magazine for the Commonwealth of Massachusetts 43(1): 33-36. King, Charlotte L., Millard, Andrew R., Gröcke, Darren R., Standen, Vivien G., Arriaza, Bernardo T. & Halcrow, Siân E. (2018). Marine resource reliance in the human populations of the Atacama Desert, northern Chile – a view from prehistory. Quaternary Science Reviews 182: 163-174. Fernandes, R., Eley, Y., Brabec, M., Lucquin, A., Millard, A. & Craig, O. (2018). Reconstruction of prehistoric pottery use from fatty acid carbon isotope signatures using Bayesian inference. Organic Geochemistry 117: 31-42. Nebbia, Marco, Gaydarska, Bisserka, Millard, Andrew & Chapman, John (2018). The Making of Chalcolithic Assembly Places: Trypillia Megasites as Materialised Consensus Among Equal Strangers?. World Archaeology 50(1): 41-61. 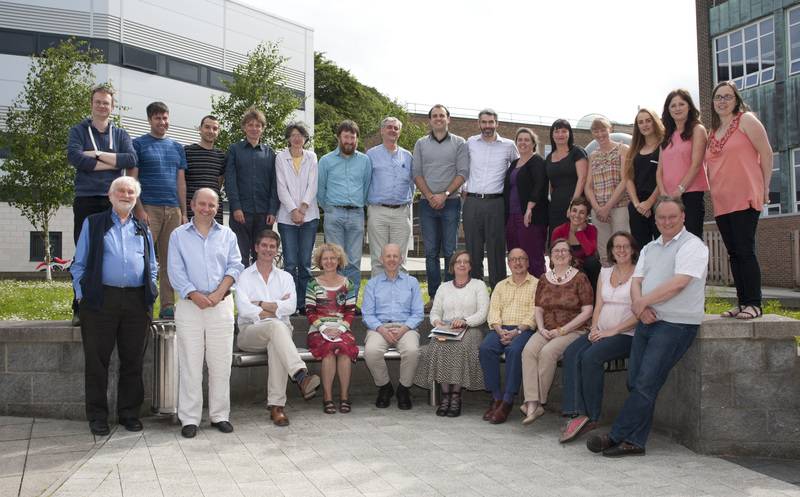 King, Charlotte L., Millard, Andrew R., Gröcke, Darren R., Standen, Vivien G., Arriaza, Bernardo T. & Halcrow, Siân E. (2017). A comparison of using bulk and incremental isotopic analyses to establish weaning practices in the past. STAR: Science & Technology of Archaeological Research 3(1): 126-134. Redfern, R., Gröcke, D.R., Millard, A.R., Ridgeway, V., Johnson, L. & Hefner, J.T. (2016). Going south of the river: a multidisciplinary analysis of ancestry, mobility and diet in a population from Roman Southwark, London. Journal of Archaeological Science 74: 11-22. Hughes, S.S., Millard, A.R., Lucy, S.J., Chenery, C.A., Evans, J., Nowell, G. & Pearson, D.G. (2014). Anglo-Saxon origins investigated by isotopic analysis of burials from Berinsfield, Oxfordshire, UK. Journal of Archaeological Science 42: 81-92. Millard, A.R. (2014). Conventions for reporting radiocarbon determinations. Radiocarbon 56(02): 555-559. Fernandes, R., Millard, A.R., Brabec, M., Nadeau, M.-J. & Grootes, P. (2014). Food Reconstruction Using Isotopic Transferred Signals (FRUITS): A Bayesian Model for Diet Reconstruction. PLoS ONE 9(2): e87436. Millard, A, Jimenez-Cano, N.G., Lebrasseur, O. & Sakai, Y. (2013). Isotopic Investigation of Animal Husbandry in the Welsh and English Periods at Dryslwyn Castle, Carmarthenshire, Wales. International Journal of Osteoarchaeology 23(6): 640-650. Redfern, R, Millard, AR & Hamlin, C (2012). A regional investigation of subadult dietary patterns and health in late Iron Age and Roman Dorset, England`. Journal of Archaeological Science 39(5): 1249-1259. Millard, A. R. & Schroeder, H. (2010). 'True British sailors': A comment on the origin of the men of the Mary Rose. Journal of Archaeological Science 37(4): 680-682. Smits, E, Millard, AR, Nowell, G & Pearson, DG (2010). Isotopic investigation of diet and residential mobility in the Neolithic of the Lower Rhine Basin. European Journal of Archaeology 13(1): 5-31. Hale, D, Platell, A & Millard, A (2009). A late Neolithic palisaded enclosure at Marne Barracks, Catterick, North Yorkshire. Proceedings of the Prehistoric Society 75: 265-304. Mitchell, PD & Millard, AR (2009). Migration to the medieval Middle East with the crusades. American Journal of Physical Anthropology 140(3): 518-525. Millard, A. R. (2008). A critique of the chronometric evidence for hominid fossils: I. Africa and the Near East 500-50ka. Journal of Human Evolution 54(6): 848-874. Millard, AR (2008). Comment on article by Blackwell and Buck. Bayesian Analysis 3(2): 255-262. Church, MJ, Dugmore, AJ, Mairs, KA, Millard, AR, Cook, GT, Sveinbjarnardóttir, G, Ascough, PA & Roucoux, K.H. (2007). Charcoal Production During the Norse and Early Medieval Periods in Eyjafjallahreppur, Southern Iceland. Radiocarbon 49(2): 659-672. Millard, AR (2006). Bayesian analysis of ESR dates, with application to Border Cave. Quaternary Geochronology 1(2): 159-166. Millard, A. R. (2006). Bayesian analysis of Pleistocene Chronometric Methods. Archaeometry 48(2): 359-375. Budd, P., Millard, A., Chenery, C., Lucy, S. & Roberts, C. (2004). Investigating population movement by stable isotope analysis: a report from Britain. Antiquity 78(299): 127-141. Millard, A (2002). Bayesian approach to sapwood estimates and felling dates in dendrochronology. Archaeometry 44(1): 137-143. Collins MJ, Nielsen-Marsh CM, Hiller J, Smith CI, Roberts JP, Prigodich RV, Weiss TJ, Csapo J, Millard AR & Turner-Walker G (2002). The survival of organic matter in bone: A review. Archaeometry 44(3): 383-394. Roberts, S. J., Smith, C. I., Millard, A. R. & Collins, M. J. (2002). The Taphonomy of Cooked Bone Characterizing Boiling and its Physico-Chemical Effects. Archaeometry 44(3): 485-494. Millard AR & R.E.M. Hedges (1996). A diffusion-adsorption model of uranium uptake by archaeological bone. Geochimica et Cosmochimica Acta 60: 2139-2152. Hedges, R. E. M. & Millard, A. R. (1995). Bones and groundwater: towards the modelling of diagenetic processes. Journal of Archaeological Science 22: 155-164. Hedges, R. E. M., Millard, A. R. & Pike, A. W. G. (1995). Measurements and relationships of diagenetically altered bone from three archaeological sites. Journal of Archaeological Science 22: 201-209. Millard, A. R. & Hedges, R. E. M. (1995). The role of the environment in uranium uptake by buried bone. Journal of Archaeological Science 22: 239-250. Millard, A R (2018). Lost lives, new voices: the fate of Scottish prisoners from the Battle of Dunbar, 1650 (History Scotland). Millard, A R (2018). Lost lives, new voices: the fate of Scottish prisoners from the Battle of Dunbar, 1650 (Secret Lives). Millard, A.R. (2015). Palace Green Library excavations 2013 (PGL13): Chronology of the burials. Department of Archaeology. Durham, Durham University. Millard, A.R. (2015). Palace Green Library excavations 2013 (PGL13): History and topography of the site. Department of Archaeology. Durham, Durham University. Millard, A.R., Dodd, L. & Nowell, G. (2015). Palace Green Library excavations 2013 (PGL13): Isotopic studies. Department of Archaeology. Durham, Durham University.